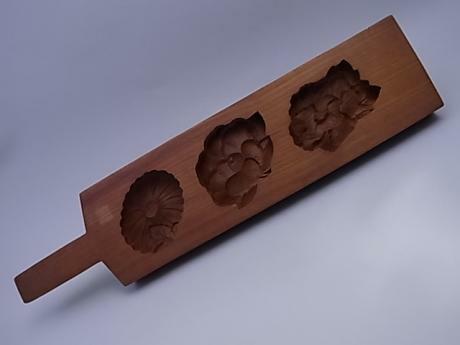 Japanese 20th century wooden sweet cake mold, or KASHIGATA. This Kashigata is done with the design of 3 different views of a waterlily, the leaf, the blossom and a bud. This Kashigata measures 10 1/4" long 2 3/4" tall and 1 3/16" thick. 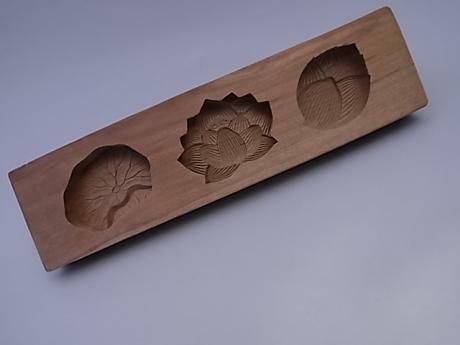 Japanese 20th century wooden sweet cake mold, or KASHIGATA. This Kashigata is done with the design of 3 different flower blossoms, chrysanthemum, camellia and peony. This Kashigata measures 17" long 3 7/8" tall and 1 5/16" thick. 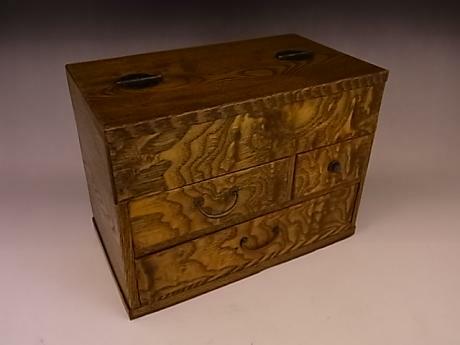 Japanese early to mid 20th century small wooden sewing chest. The chest comes with 3 drawers and top compartment. The top compartment has the pin cushion holder. The chest measures 10 5/16 wide, 7 3/4" tall and 6" deep. 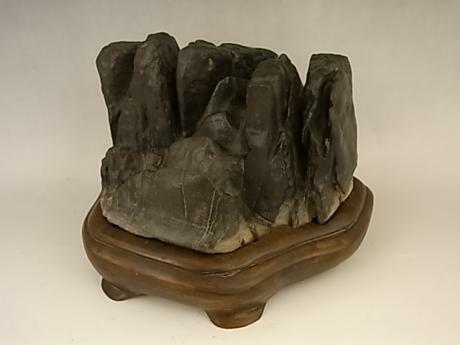 Japanese SUISEKI viewing stone on custom wooden stand. The natural stone has a form that resembles a miniature island formation. 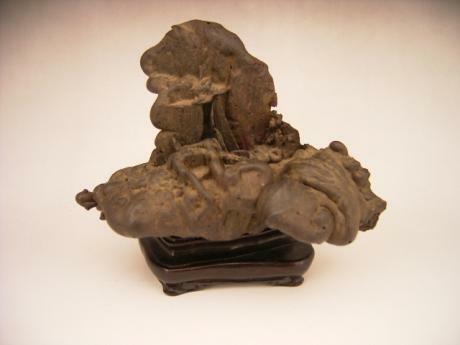 The stone is natural and the rosewood stand was custom made for the stone sometime in the early 20th century. 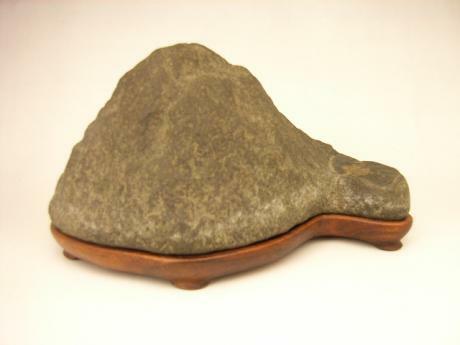 The stone and stand measure 3 3/8" tall, 9 1/2" wide and 6"..
Japanese 20th century viewing stone on custom wooden stand. The natural stone has a form that resembles a miniature island formation. The stone is natural and the stand was custom made for the stone sometime in the 20th century. The stone and stand measure 5" tall, 8 1/2" wide and 4 1/2" deep. 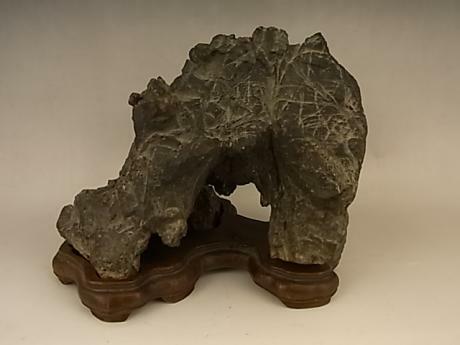 (d..
Japanese 20th century viewing stone on custom wooden stand. The natural stone has a form that resembles a miniature island formation with a hole going through it. The stone is natural and the stand was custom made for the stone sometime in the 20th century. 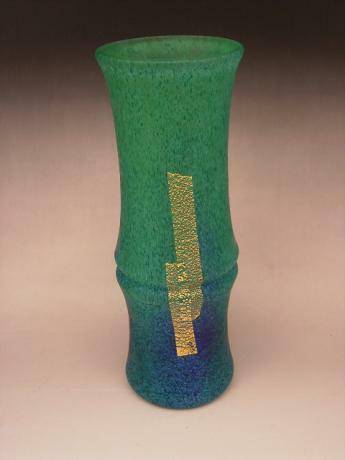 The stone and stand measure 5 3/4" tall,..
Japanese 20th century art glass vase by master glass artist, HISATOSHI IWATA. The beautiful handblown vase is done in the shape of bamboo. Hisatoshi Iwata was born in Tokyo in 1925 and he died in 1994. He graduated from the prestigious Tokyo School of Fine Arts in 1950. 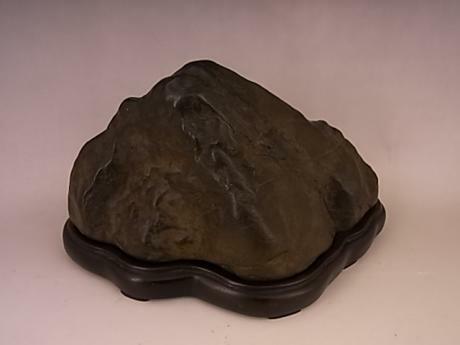 He has participated in ..
Japanese early - mid 1900's SUISEKI viewing stone. The stone was found on Mt. Fuji. The box describes it as lava rock from Mt. Fuji. 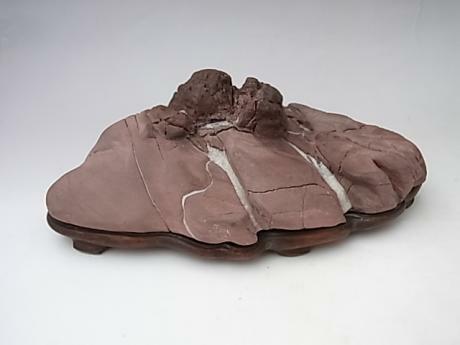 A wonderful shape depicting landscape and waterfall. The viewing stone measures 6 1/4" L by 5 3/4" H by 3 1/2" Depth. Comes with wooden storage box. Japanese early - mid 1900's SUISEKI viewing stone entitled CHIKIBU JIMA, after Chikibu Island in Lake Biwa. The stone was found in Sadogawa(?). The viewing stone measures 5 3/4" L by 3 1/4" H by 3 3/4" Depth. Comes with wooden storage box.